Has she gone to Hell? While fully aware you don’t normally do this I was wondering if you could help out a mate of mine who has had her lovely Lucy (short for Lucifer due to her habit of trying to kill and maim her owner) stolen over the weekend? It’s a Black sparkle Trek Lexa S 2015 women’s road bike. 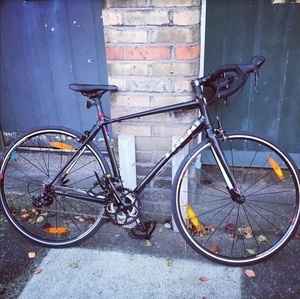 It was stolen from the Phoenix Park area sometime between the 16th and the 22nd of May 16-22. If anyone has any leads/spots it somewhere could you please let me know! Posted in Misc and tagged We Don't Normally Do This at 1:16 pm on May 23, 2017 by Broadsheet. 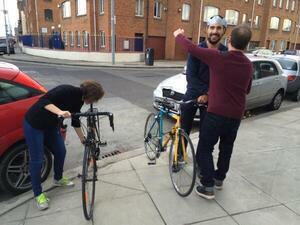 One nabbed by the Guards in Navan – don’t suppose it’s the same one? So cynical. Hug a kitten FFS. Immediately. Giving inanimate objects names and mentioning ‘harry potter land’? is that supposed to endearing? Is that a womans’ bike?